The Apple Watch is great smartwatch and is selling gangbusters, but it's only for iPhone owners. Android owners who are looking for a smartwatch have to turn elsewhere, and that may be boosting smartwatch sales now and in the future, according to the latest forecast from CCS Insights. The firm predicts sales of 142 million wearables, with greater adoption of hearables, smartwatches and smart shoes growing to sales of 260 million units in 2023. That would create a wearable market of $30 billion. In 2018, wearables sales grew 29% to 121 million units. Smartwatches and sports watches made up a good chunk of that, selling 74 million units. Apple is one of the best performers in the segment as more iPhone owners buy Apple Watches. 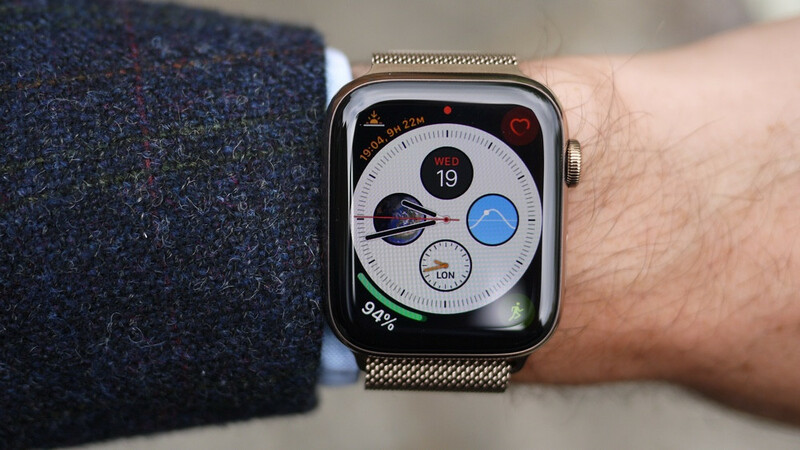 CCS Insights estimates that Apple sold 26 million Watches in 2018, a 63% increase. That means Apple Watch accounted for 65% of the smartwatch market in 2018. Ben Wood, CCS Insights chief of research, says "the Apple Watch has become a halo device for the whole smartwatch category." Android owners want to jump on the smartwatch bandwagon and have to turn to other manufacturers. Woods points out this has benefited Fitbit, Fossil, Garmin, Huami, Huawei and Samsung, all of whom sold more smartwatches in 2018. Fitbit's success with the Versa is the best example of this halo effect, Wood argues, as it hits a good combination of price, brand and product that meets the needs of Android owners. Samsung and Huawei have also seen gains, largely thanks to their strong positions in the smartphone market. Fossil has led the charge in the traditional watchmaker world, selling 3.5 million smartwatches in 2018. CCS Inisghts says this area has also grown, with many watchmakers on their second generation of smartwatches. Another large chunk of the wearable market is kids smartwatches. CCS estimates 27 million kids smartwatches were sold in 2018, with 25 million of those in China. New features like video calls and contactless payments for school events and lunches have helped them grow. Sales will continue to grow in China, with CCS estimating that US sales will double as carriers will help push kids smartwatches with cellular connections. Sports watches are another big category, dominated by Garmin and Huami's Amazfit label, selling several million units a year. CCS estimates that this will grow to 7 million units in 2023. Fitness trackers, on the other hand, have grown thanks to Xiaomi's continued popularity in the affordable segment. Shipments have increased from 39 million units in 2017 to 44 million units in 2018. Smart hearables are expected to grow by leaps and bounds. While CCS estimates only 3 million will be sold in 2019, it says more and more phones lacking a headphone jack will help push sales to 23 million in 2023. Additionally, it predicts the next frontier in hearables will be active noise cancellation, while smarter health features will come later. A lot of this growth, CCS estimates, will come from future iterations of Apple's AirPods. Finally, there's smart clothing. It's been a segment that's been talked about quite a bit but hasn't yet gained traction. CCS predicts smart shoes will act as a beachhead in this, shipping 2.5 million units in 2019.